As in most family homes, meal time at the Inn is an important time for socializing. In addition to a beautiful dining room with a lovely view of the woods, Inn at Village Square boasts a highly talented culinary staff. Nearly everything we serve is made in our own spacious kitchen by cooks who truly care about resident satisfaction and health. 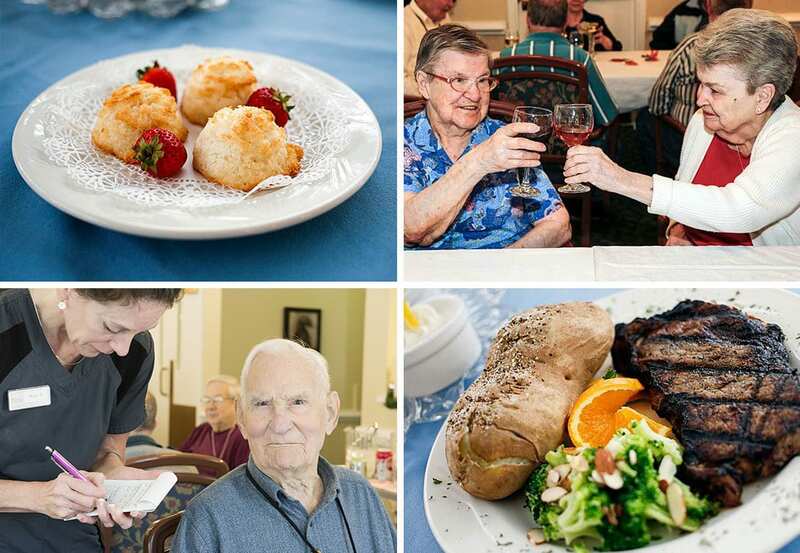 Residents and visitors alike enjoy the delicious and varied meals we prepare. We work with residents to meet personal dietary needs, and all of our menus are approved by a Registered Dietician. We have a Resident Food Council that provides input for developing our menus. Residents are also encouraged to share their favorite recipes and invite family members and friends to be their guests for lunch or dinner!